Rev. Brian J. Shanley, O.P. A native of Warwick, RI, Rev. Shanley holds a doctorate in philosophy from the University of Toronto and completed a post-doctoral fellowship at the University of Notre Dame’s Center for Philosophy of Religion. After completing undergraduate studies in history at Providence College in 1980, he earned a licentiate degree in philosophy from The Catholic University of America. 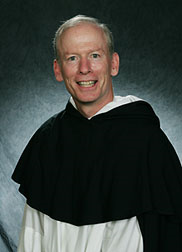 He also holds a master of divinity and a licentiate degree in sacred theology from the Dominican House of Studies in Washington, D.C.
Ordained a member of the Dominican Order of Preachers in 1987, Fr.. Shanley taught philosophy at Providence College and was a visiting professor at Emory University’s Candler School of Theology. He most recently served as an associate professor of philosophy at The Catholic University of America. A member of the Corporation of Providence College and the Board of Trustees – with prior service as chair of the Board’s Strategic Planning Committee – Fr. Shanley also has served on the executive committee of the American Catholic Philosophical Association. As former regent of studies for the Dominican Province of St. Joseph, Fr. 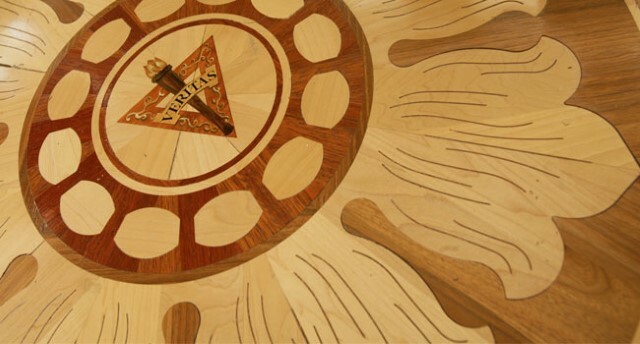 Shanley held a seat on the Provincial Council, a body of 12 Dominican Friars serving as cabinet-level advisors to the prior provincial. He advised the prior provincial on all matters pertaining to the intellectual and academic life of the province. Fr. Shanley has served as associate editor and editor of The Thomist and as a member of the editorial board for the International Journal for Philosophy of Religion. Widely published in philosophy-focused academic journals, his research interests include Thomas Aquinas, philosophy of religion, metaphysics, medieval philosophy, and ethics. An opera aficionado, Fr. Shanley also is a self-described sports enthusiast who enjoys golf and incorporates Xing Yi martial arts into his daily routine.